ICC Anti Corruption Unit officer Steve Richardson, Sports Minister Harin Fernando, SLC chief Ashley De Silva and other officials address Sri Lanka’s First Class players and officials.The International Cricket Council yesterday held a meeting for all First Class cricketers at the Sports Ministry premises urging them to provide details if they are aware of any corrupt practice in Sri Lankan cricket. Sri Lanka batting great Sanath Jayasuriya has been charged with two counts of breaching the International Cricket Council’s anti-corruption code, the world governing body has announced.The former captain and explosive opening batsman has refused to cooperate with any investigation conducted by the ICC’s anti-corruption unit (ACU), the ICC said in a statement. The 49-year-old has also been charged with trying to conceal, destroy or tamper with evidence that could be crucial to an anti-corruption investigation.”Mr Jayasuriya has 14 days from 15 October 2018 to respond to the charges. 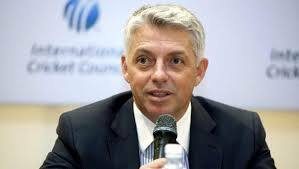 The ICC will not make any further comment in respect of these charges at this stage,” the ICC statement said. “On the field the cricket needs its larger than life characters. Its Colin Milburns, Freddie Flintoffs, Shane Warnes, Virat Kohlis, Ben Stokes but we equally it needs its Frank Worrells, its Mahendra Singh Dhonis, its Rahul Dravids, its Colin Cowdreys to make sure that we all stay in the good side of that line,” said Richardson. As Dinesh Chandimal becomes the latest cricketer to be punished for ball tampering, we take a look at every ball-tampering offence since 2000 that led to an ICC charge. You are currently browsing the archives for the ICC category.